Susan Kaye Quinn talks about her first line to The Legacy Human. I reworked my cover into something really cool. A cover reveal for Second Invasion short story. An Austin tech start-up is on the verge of releasing the Next Big Thing in virtual reality; perfect 3D re-creations of hip concerts, raucous civic celebrations and performances by beloved local artists. But when they “capture” their first event, they capture something else they never expected. 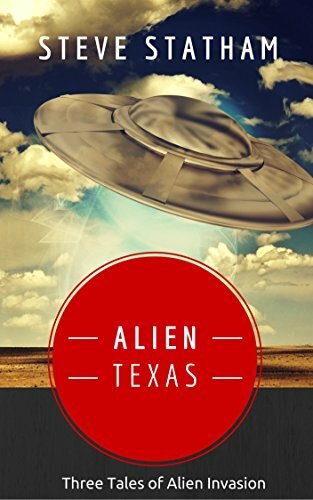 A disabled veteran of the alien wars on Gliese 832c tries to rebuild his life in the Gulf Coast town of Port Aransas. But he’ll find no rest until he figures out a way to deal with the hidden intruder he brought back from the war. The invading aliens were routed. The people of Earth remain free. But now a lone rancher has to deal with the creatures the aliens left behind. Are these horrifying alien species forgotten pets, escaped livestock, or something worse? Did you ever watch the short-lived TV series Jericho? It lasted for one season way back in 2006. Due to the cult following a shorter season was created a little later to tie up the loose ends. Jericho was a small town in Kansas, and the residents were coming to grips with several American cities razed by nuclear bombs. The draw was in the dynamics of the town, how everyone reacted to the global catastrophe. Ordinary people in extraordinary circumstances. That was the draw. It was cool, it was post-apocalyptic, it ended way too soon. I don’t watch much TV, but this was one show I enjoyed. And miss. I wrote 25 Bombs Fell with Jericho’s basic idea in mind; how ordinary people react given extraordinary circumstances. It makes for great stories and drives so much of my work, delving into human interaction. Young and old. Black and white. Male and female. All those interesting things that makes living such an explosive enterprise. It’s not a prepper post-apocalyptic, where everyone is an ex-beret/Navy Seal/retired covert ops. It’s about your local cable man suddenly thrust into becoming the leader of a fallout shelter. It’s about a white-collar city-boy from Atlanta finding himself having to fire a gun and tote back-breaking packs of supplies. Ordinary people. 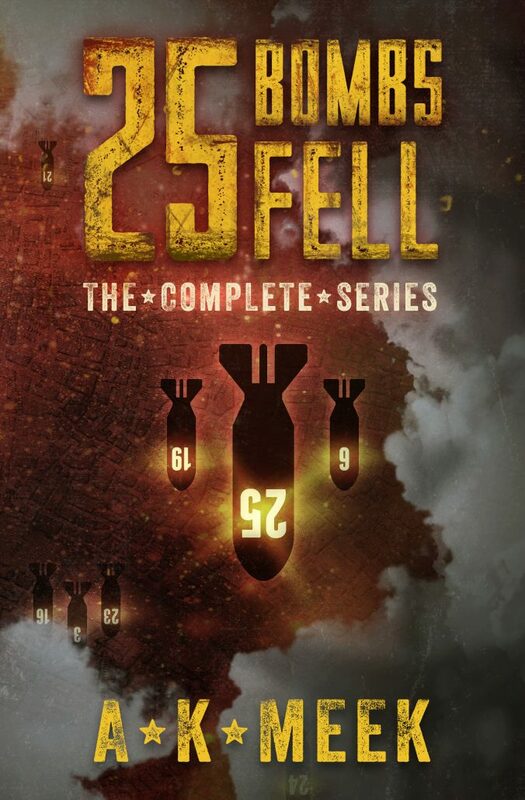 25 Bombs Fell began life as a five-episode series, much like a television show. Each episode contains an encapsulated story, but still fits into the main story arc that runs through all episodes. It’s my best-selling book, by far. I guess many other people like the ordinary people scenario. Currently I’m working on the second book to 25 Bombs Fell, which should be finished later in 2017. Until then, click on the cover to go to Amazon and pick up the first book. You might enjoy it.